If you have questions which are not answered here, please contact us. Please note that we cannot give individual advice on vaccines for you or your child. You should consult your GP or other healthcare provider if you need specific advice. For more discussion and interviews about vaccination visit Healthtalkonline . See our page on herd immunity for an explanation of what herd immunity is. Herd immunity will not definitely protect anyone who is not vaccinated. There are low vaccination rates in some parts of the UK and in some communities. This means that if your child is not vaccinated, it is quite likely that many of the people they come into contact with will not be vaccinated either. So if one person gets an infectious disease, it can spread quickly through all the unvaccinated people in the group (this happened during the 2013 measles outbreak in Wales). For herd immunity to work properly, most people in the population need to be vaccinated. The exact rate depends on the disease; in the case of measles, 19 out of 20 people need to be vaccinated to protect the population. When measles vaccination levels drop below this level, outbreaks and epidemics become more common. So if you decide not to vaccinate because you think that herd immunity will protect you, you are making it less likely that you will be protected. Herd immunity does not protect against all diseases. The best example of this is tetanus, which is caught from bacteria in the environment, not from other people who have the disease. It doesn’t matter how many people around you are vaccinated against tetanus – it will not protect you as an individual. Because of the way vaccines work, this can put a child at risk. For many diseases, one dose of vaccine does not give full protection. Some vaccines do work with a single dose, but it can take two or three weeks for the body to develop good levels of antibodies to protect against the disease. So if a vaccine is given at the start of an outbreak it may not act quickly enough to protect your child. The other problem is that many diseases are infectious before any symptoms show, so your child could catch a disease before you even realise there is an outbreak. Breast milk does contain some antibodies which are passed to the baby, especially in the first few days. However, this ‘passive immunity’ wears off after a few weeks, and after that breastfeeding offers very little protection from serious infectious diseases. It is therefore best to get your child vaccinated even if you are breastfeeding long-term. To some extent, it will. Children with severe malnutrition are more at risk of disease, and a good diet is an important part of keeping healthy. However, healthy children in wealthy countries are still at risk from conditions such as meningitis and septicaemia (severe blood poisoning). There is also strong evidence that healthy, non-immunised children are more affected than adults during outbreaks of infectious disease because they have wider social networks and come into close contact with more people. There is no evidence that an organic diet offers any greater protection. There is no evidence that homeopathic medicine can protect against serious infectious diseases. During any infection by bacteria or viruses, our immune system makes antibodies to fight that particular disease. For many diseases, an 'immune memory' is then created in special white blood cells called T lymphocytes. If we come into contact with the same disease, these white blood cells will 'remember' it and react quickly to fight it, so that we do not become ill. However, this process can only protect you against the specific disease that you have had. It does not make it easier for the body to respond to other kinds of infections. The measles virus actually seriously damages and suppresses the whole immune system. Measles infection destroys the white blood cells that hold the 'immune memory', wiping out our immunity to diseases we have already had. This makes it much more likely that people who have had measles will catch other infections, even ones they have had before. Research published in 2015 found that it can take the body up to three years to recover from this damage. Before a measles vaccine was available, it is estimated that measles was the direct or indirect cause of over half of all childhood deaths from infectious disease. This is not true. Today more people survive infection because of better medical care and medicines such as antibiotics, but infectious diseases are still dangerous. People sometimes think that if their child gets a disease like measles or tetanus nowadays, a visit to the doctor or hospital will easily sort it out. In fact many infectious diseases lead to complications that still cannot be treated, even with the best medical care available (for example meningitis, encephalitis - inflammation of the brain - and even pneumonia). Even in countries with good intensive care facilities, 3 in 10 of those who get tetanus will die. This is true to some extent. In the early part of the 20th century better hygiene and sanitation, clean water and better food all contributed to better health. Smaller families and less crowded living conditions meant that diseases were not passed on so easily. Medicine and supportive care were both improving, so that people who caught a disease were less likely to die, and those who ended up with serious disabilities could be kept alive. However, without vaccination it would have been impossible to reduce the levels of infectious diseases like measles to almost zero. For example, before the Hib vaccine was introduced in 1992, there were thousands of cases of Hib disease every year in the UK. Now there are almost none. Living conditions have not really changed since 1992, so the decline in Hib disease can only be down to the vaccine. Improved living conditions have also made almost no impact on chickenpox. This disease is just as common now as it ever was, with an estimated 600,000 cases a year in the UK. Catching a disease doesn’t always give you 100% immunity either. It is possible to catch tetanus, rubella, Hib disease, pertussis (whooping cough) and meningococcal disease more than once. If most of the population is vaccinated, this raises protection for everyone to almost 100%. See our page on herd immunity for more information. If someone who has been vaccinated in the past catches a disease, the symptoms are often milder than they would be for an unvaccinated person. For more information on why we still get outbreaks of infectious disease in populations where most people get their routine vaccinations, see our page on Disease in Vaccinated Populations. Parents may worry that a child’s immune system will not be able to cope with several vaccines at once. In fact, even a tiny baby’s immune system can cope easily. Starting from birth, babies come into contact with millions of germs every day. It is estimated that the human body contains enough white blood cells to cope with thousands of vaccines at any one time. If a child was given 11 vaccines at once, it would only use about a thousandth of the immune system. It is not a good idea to delay vaccinations to ‘spread the load’, because it leaves the child unprotected against serious diseases for longer. 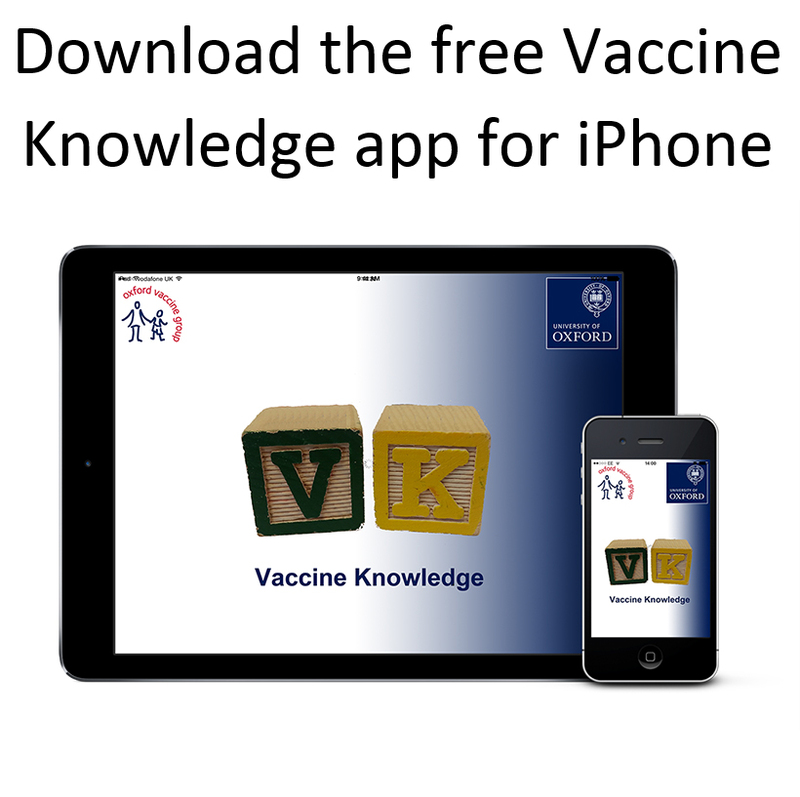 See our page on Combination and Multiple Vaccinations. Vaccines also challenge the immune system less than a disease does. This is because they use only part of the bacteria or virus that causes the disease, or a weakened form of the bacteria or virus. This is enough to make the body produce antibodies, but not enough to cause illness. Even premature babies can cope with vaccines. It is a good idea to vaccinate them because they have a higher risk of catching infectious diseases. See our page on Vaccines and Premature Babies for more information. All vaccines go through a long and thorough process of development and testing before they are licensed for use. It can take as much as 20 years for a vaccine to go from first concept to being licensed. Vaccines have to be tested on adults and children separately before they can be used for different age groups; this is because vaccines that work in adults may not work so well in children. No vaccines are tested on children before they have been fully tested on adults. See our page on Testing and Monitoring for more information. Nothing in life, including vaccination, can be completely risk-free, but so far all the evidence tells us that vaccinating is safer than not vaccinating. It is rare for people to have serious reactions to vaccines, and so it is difficult to research these reactions because it takes a long time to gather examples to study. All serious reactions that get reported are investigated by the MHRA (Medicines and Healthcare products Regulatory Agency). 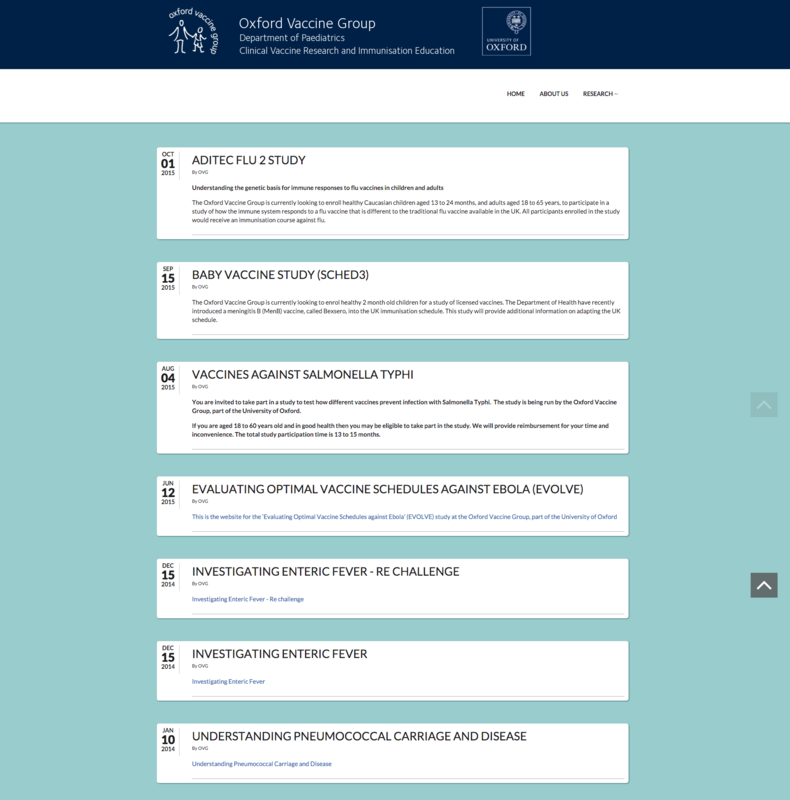 See our pages on Vaccine side effects and adverse events and Testing and Monitoring for more information. Allergies and auto-immune diseases are on the increase, and it is understandable that people want to know what is causing this. Many researchers have looked at this issue, but they have found no evidence that vaccination is the cause, or that vaccination will trigger allergies. Allergy UK states that ‘All available information about immunisation and allergy points to the fact that immunisation in children who are at high risk of developing allergy is safe and not a factor in their future allergic conditions' (see the Immunisation Factsheet available to download on the Allergy UK website). See the abstract of the 2003 paper Addressing parents' concerns: do vaccines cause allergic or autoimmune diseases? . There is no evidence at all that catching a serious disease like measles will help a child to fight off other kinds of infectious diseases when they are older. See the answer to 'Will catching an infectious disease make my child's immune system stronger?' above. Other studies have found no evidence that childhood vaccination is linked to an increased risk of developing type 1 diabetes or conditions such as multiple sclerosis . The original research which suggested a link between the MMR vaccine and autism has now been discredited. The National Autistic Society has issued a statement stating that the weight of evidence points to the fact that ‘there is no statistically significant link between the MMR vaccine and autism’. An analysis of studies involving over 1 million children found no link between vaccination and autism development in children. Watch this short film in which experts say why they believe there is no link between the MMR vaccine and autism, and see more on our MMR vaccine page ('Is the vaccine safe?' towards the bottom of the page). All side effects are listed in detail on the Summary of Product Characteristics sheet (SPCs) for each vaccine (see the list of SPCs on our Links page). SPCs are written for healthcare professionals, not the general public, and they can be quite hard to interpret. Side effects are listed in section 4.8 – Undesirable effects. When looking at the rates of side effects, you need to remember that any unwanted symptoms experienced by participants during clinical trials of vaccines are recorded as potential side effects, even if they may not be the result of the vaccine. You also need to be aware that very rare side effects may be listed with no indication of how common they are (or described as ‘frequency unknown’), because they have not been reported often enough to get a clear idea of their frequency. See our page on vaccine side effects and adverse reactions. It is a good idea to weigh up the risk of side effects against the risks involved in getting the disease itself (see our pages on Infectious Diseases for information about the risks of each disease). The Patient Information Leaflets (PILs) and Summary of Product Characteristics sheets (SPCs) both give a list of ingredients (usually called ‘excipients’). See the list of PILs and SPCs on our Links page. There is information about many of the ingredients found in vaccines on our Vaccine Ingredients page. Vaccine ingredients can often look unfamiliar. However, it is important to remember that many of the substances used in vaccines are found naturally in the body. All vaccine ingredients are present in extremely small quantities, and there is no evidence that any of them cause any harm in these amounts, unless someone has a very severe allergy to one of the ingredients. This is true for some vaccines, but it happens very rarely. The live oral polio vaccine (not used in the UK since 2004) did cause polio in a handful of cases. In rare cases, other attenuated (live but weakened) vaccines can cause mild forms of the diseases they protect against. For example, the MMR vaccine very occasionally causes measles, mumps or rubella, but the symptoms are almost always much milder than those caused by the diseases themselves. This means that these kind of vaccines are only really a risk to children and adults with weak immune systems (e.g. those with cancer), who have to rely on protection from herd immunity. See the two questions below for more information about this, and a list of live vaccines used in the UK. It is impossible to get a disease from a vaccine made with killed bacteria or viruses, or made with only part of the bacteria or virus. Live vaccines contain live strains of viruses or bacteria which have been weakened (attenuated). The weakened virus stimulates the immune system but does not cause disease in healthy people. However, live attenuated vaccines should not be given to people who are clinically immunosuppressed (either due to drug treatment or underlying illness). This is because the weakened virus strain in the vaccine could replicate too much and cause a serious infection in these people. Most of the vaccines now used in the UK are inactivated (killed) vaccines or 'subunit' vaccines made with only parts of the bacteria or virus. It is impossible for anyone to get a disease from a vaccine made with killed bacteria or viruses, or made with only part of the bacteria or virus. See the question above for a list of live vaccines used in the UK. Researchers are always looking for ways to improve the protection that vaccines give us. Sometimes they discover that it is better to give booster vaccines at different intervals. 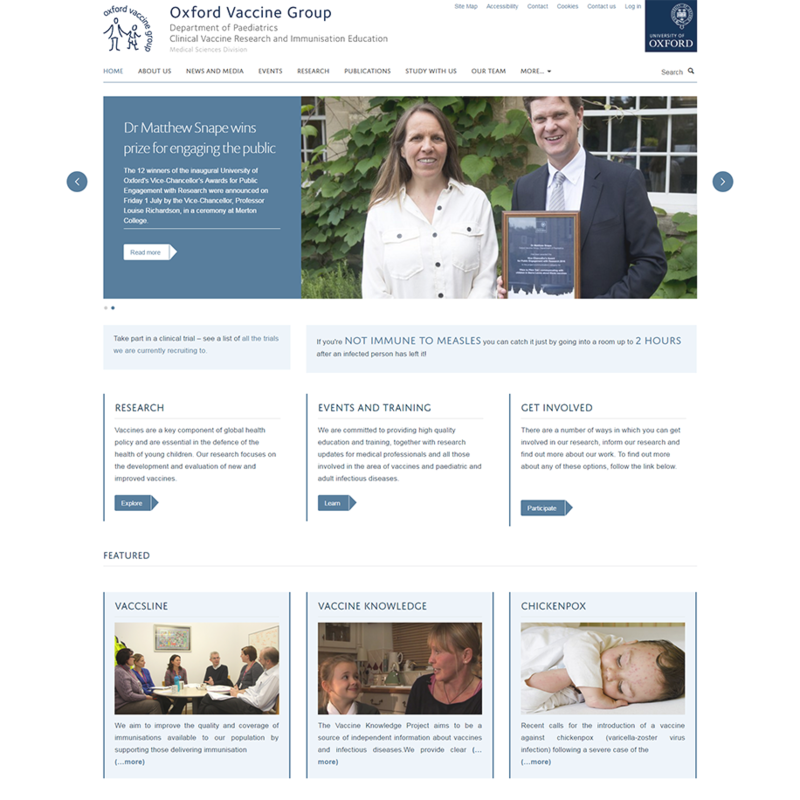 New or improved vaccines are being developed all the time, and once these are tested and approved they may be introduced into the UK schedule (for example, see information on the introduction of Prevenar and then Prevenar13 on our PCV page). Researchers also try to identify the best possible protection that can be given by the smallest possible number of vaccines. Sometimes this leads to a vaccine being dropped from the schedule. For example, the dose of MenC vaccine given at 3 months of age was removed on 1st July 2016. See our blog post on this change. International travel means that any infectious disease is only a few hours’ flight away. Travellers to countries which still have diseases like polio and diphtheria can bring back these diseases to the UK, and this can put unvaccinated people at risk. For example, two unvaccinated children in Europe have died of diphtheria since the start of 2015. Once a disease is wiped out in every country in the world, vaccination is no longer necessary, but so far this has only happened in the case of smallpox. People respond differently to the same vaccine. For example, 9 out of 10 children will be protected against measles after one dose of the MMR vaccine. However, 1 in 10 children won’t make a good immune response the first time around. It is not known exactly why this is. After a second dose of MMR, most of the children who weren’t protected the first time will have made a good immune response. For those children who did make a response the first time, the second MMR dose boosts or ‘tops up’ their immune response. Young babies do not always make as strong an immune response as older children and adults, and the response does not last as long. Vaccines such as whooping cough are given as early as possible to give babies some protection at a time when they are really vulnerable. Giving several doses helps to make the immune response stronger each time, and also helps protection to last longer. Even for adults, immunity can fade over time. The immune response can slow down as people get older, so that it takes longer to make antibodies to fight the disease. Booster doses help to keep the immune response active and quick to respond when it encounters disease. You can change your mind at any point. Even though it is better to get your child vaccinated at the ages recommended in the UK schedule, it is never too late to start vaccination. The majority of vaccines can be given at any point in childhood, so you can just go to your GP and ask them to give your child the vaccines they need. Sometimes people want to obtain vaccines that are not offered routinely in the UK (for example, chickenpox vaccine for children, or whooping cough vaccine for adults visiting newborn babies in other countries). Any vaccines that are not part of the NHS provided service are only accessible through private provision. This may be through a private hospital, travel clinic or another GP practice (where you are not a registered patient). Patients and parents who want to access vaccines privately are responsible for finding these services - unfortunately we don't have a list of providers. Pricing may vary between different providers. Children aged from 2 to 9 years who have not had a flu vaccine before and who have a long-term health condition such as asthma or learning disabilities are recommended to have two doses of the nasal flu vaccine every year, rather than just one. Babies, children and adults with immunosuppression, a missing spleen, sickle cell anaemia or coeliac disease are recommended to have extra pneumococcal vaccines (PCV and PPV), meningococcal vaccines (MenB, MenC and MenACWY) and Hib vaccines (in the Hib/MenC vaccine or the 6-in-1 vaccine). Vaccines are recommended for people in risk groups, not specifically for people from particular ethnic groups. Sometimes these categories can appear to overlap. For example, people with sickle cell anaemia have a weakened immune system and this puts them at higher risk of infectious diseases. They are therefore recommended to get extra vaccines including pneumococcal, meningococcal and flu vaccines. Because most people with sickle-cell anaemia are from black or other minority ethnic groups, it could look as if they are being offered extra vaccines because of their ethnicity, but it is actually because they fall into a risk group owing to their condition. The same is true for TB (BCG) vaccination. This is not offered to all babies in the UK, only to those who are at higher risk of TB. Risk factors include having a parent or grandparent who was born in a country where there is a high rate of TB, or living for three months or more in a country where there is a high rate of TB. This may mean that more babies from minority ethnic groups are offered the BCG vaccine, simply because of the countries that their families come from. Again, though, they are recommended to have the vaccine because they are at higher risk of TB, not because of their ethnic origin. Try to stay calm and positive yourself, so your baby or child doesn't pick up that you are anxious. Breastfeed while the injection is taking place, or as soon as it is finished. For older babies and children, you could offer a drink such as juice. Sit your child upright – don’t lie them down. Rub or stroke the skin near the injection site (before, during and after the injection). Deep breathing and blowing can help – get your child to blow bubbles or a pinwheel. Bring a favourite toy for your child to play with so they are distracted during the injection, or have something ready for them to play with afterwards. For older babies and children, you could read them a favourite book. Use other ways of distracting your child, such as singing a song or making faces. For children who are old enough to understand, try to explain in simple terms what the injection will be like. See ‘Reducing the pain of childhood vaccination’ in the Canadian Medical Association Journal. Vaccines can seem quite aggressive because they are usually injected rather than given by mouth. The reason they are injected is simply that most vaccines are not absorbed well through the stomach. Vaccination is not designed to hurt anyone. Injection is just the best way of getting the vaccine into our bodies so that it can start to trigger the production of antibodies, which will then protect us against the disease. In many cases diseases like measles and mumps cause a few days of feeling unwell with no lasting complications. However, 1 in 15 children who have measles develop complications such as ear infections and fits. In a small but significant number of cases, many infectious diseases can lead to very serious, life-threatening conditions, and can kill. Measles is highly infectious and spreads very easily among people who have not been vaccinated. This is not as straightforward as it sounds. It is fairly easy to find accurate information on some kinds of risk (for example, common side effects of vaccines). Some comparisons are also easy to understand (for example, 1 in 5000 children develop encephalitis as a complication of measles, but less than 1 in a million develop encephalitis as a complication of the MMR vaccine). However, the chance of getting a disease is more difficult to work out, because it depends on how well-protected people are in your local community. If lots of people around you are unvaccinated, there is more chance of diseases spreading quickly than if you live in an area where most people are vaccinated, and this increases the risks. 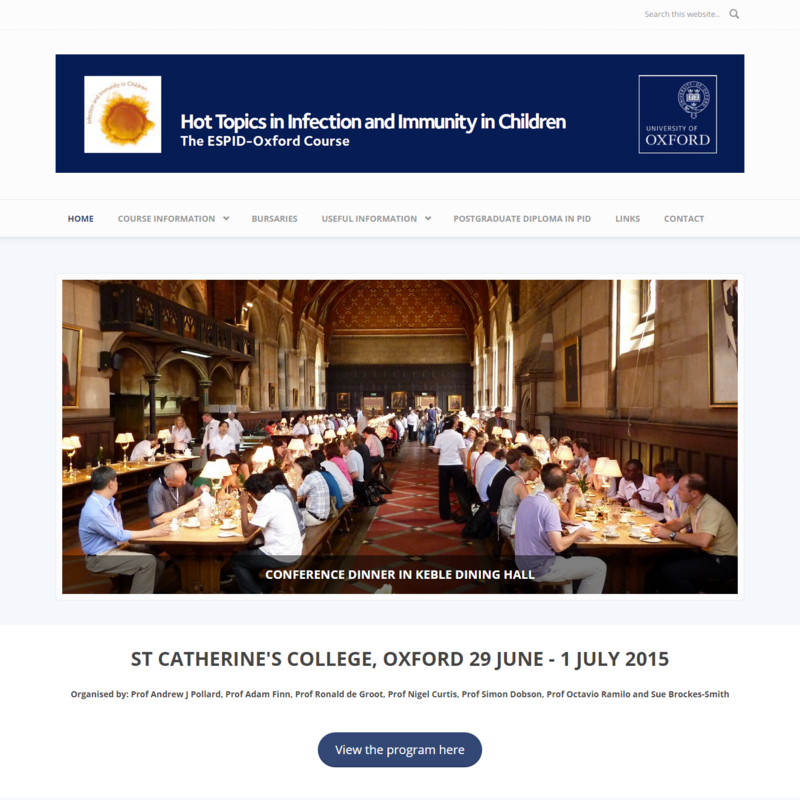 See our pages on Infectious Diseases for information about the risks of each disease. ‘Doing nothing’ tends to make people feel less guilty if something goes wrong, because they can tell themselves that it’s just ‘bad luck’ or ‘an accident’ – they haven’t actually ‘done’ anything. It is important to bear in mind that ‘doing nothing’ is actually a decision which may have consequences, just as much as getting vaccinated. If you are aware of how you feel about the risks, and why, it may help you to come to a decision.